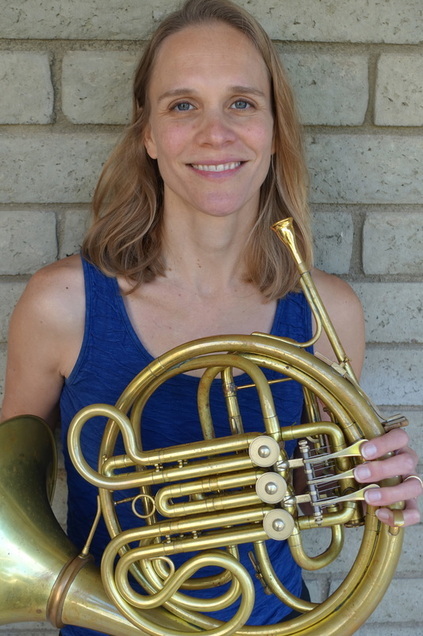 Erika Wilsen is an experienced professional horn performer and instructor based in Santa Monica, CA. She tailors lessons to the goals of the individual student and has taught all skill levels, including beginners through university level. She has maintained a highly regarded horn studio for many years. Her teaching philosophy is to meet students at their level and guide them toward creating and reaching their goals. She encourages students to develop a love of music and horn playing. She enjoys spending time outside and with her family. or contact Erika now for more information. • Phi Beta Kappa, member. • Multiple merit-based scholarships received while at the University of Michigan and Davidson College, including the Susan and Richard Rogel Scholarship, the Richard Ross Memorial Award, the Harper Music Award, the Martin van Every Scholarship, the Bill Avery Music Award, and the Harper Lesson Scholarship.